Resin Predator Rugby Figure Trophies. Available in 4 sizes, 125mm, 155mm, 180mm and 200mm high. Antique gold resin figure with gold and silver detail. 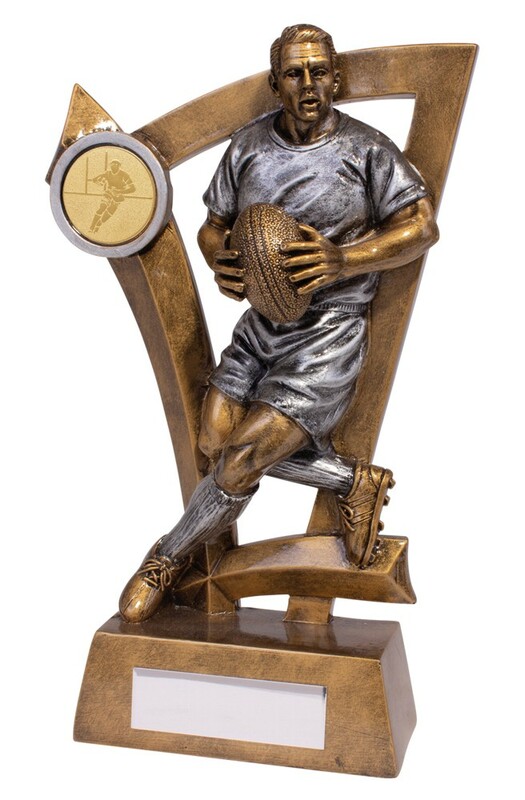 A great rugby award to reward your team players.